I'm very rusty on the subject of older trucks and engines etc. 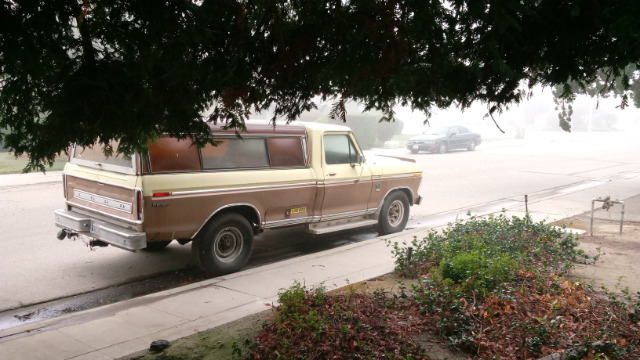 I have a '73 Ford F-250 I've been struggling with the decision to keep it or sell it for a few years now. Finally I'm thinking seriously about keeping it and putting money into it. Any thoughts on spending money and keeping the truck long term for regular use? Does anyone really know how to deal with carburetors anymore? It has a 4-barrel. I can adjust them to a point but not confidently. It burns out points now and then. I used to be good at replacing them anywhere. Don't know why they burn out. The engine is not original I think it is a 408. It runs good. Uses a little oil. It has had a problem with sticking lifters or something when the oil got too low before which made a LOUD racket and did not sound at all good. It stopped and I used it in a little business I had working it hard for a few years after but I never had confidence in the engine after that. I know there is a bad freeze plug that needs replacing that requires lifting the engine. Last time I checked the vacuum and compression were good. Would a smaller engine be better? Maybe something less than a 4-barrel carb? I like that this truck has a lots of hauling power. Would it be better to have the engine rebuilt or just go with a new short block. The truck is too loud so it needs other mufflers. Would that lessen the power? I'm in California now and they have managed to get most old vehicles off the road (sob) so I am wondering about emergency part availability here. It used to be absolutely no problem. I know there are probably millions of parts still out there. I love these old trucks. They are very rare here anymore. I don't want to spend thousands on a newer one with all the complex systems. Any thoughts are appreciated. All this used to be old school that thousands would know. I don't know about now though. The picture doesn't show bad rust to me from a VERY rusty area this body used to pull the door hinges out and doors drop, rockers gone ages ago. So you need to decide based on the cost of when else you would get probably still put a ton of bucks into it too. IMO - more and more areas will put the screws to vehicles that they are meeting even this old all OE specs. No more fooling with much of anything! Engine? Many would fit and a 2V (barrel) still available probably new or well redone if that bad. It should be just redone if old so it's ethanol tolerant including new floats. Look at the cost of what if you could find something that needed nothing and guarantees that clearly for so long or miles up to new if in the cards for you. Hey - in time all the bull that warns you of low oil, running hot and other basics are late or don't work accurately or at all. IDK - I can't spend your money so you really know what it would take to put this in acceptable order for your future needs vs cost of newer or new and still be needing stuff right away or new a break for a few years from all but routine maintenance and out all those bucks. Stay with a V8 if you keep it and check on as much as you can how legal it is and if there's any pending changes to laws coming what it must be to legally drive on public roads.